Route. 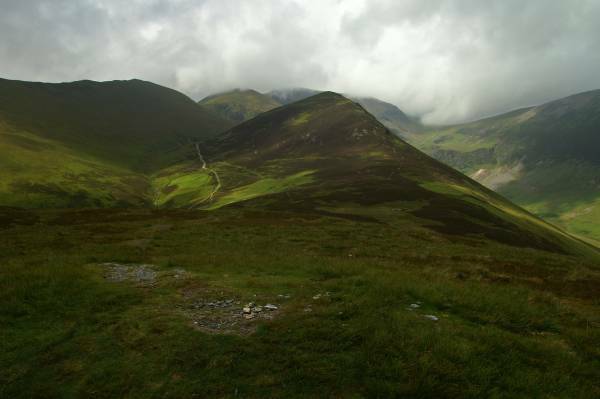 Braithwaite - Braithwaite Lodge - Rowling End - Sleet Hause - Causey Pike - Scar Crags - Sail Pass - High Moss - Outerside - Low Moss - Stile End - Barrow Door - Barrow - Braithwaite Lodge - Braithwaite. Notes. 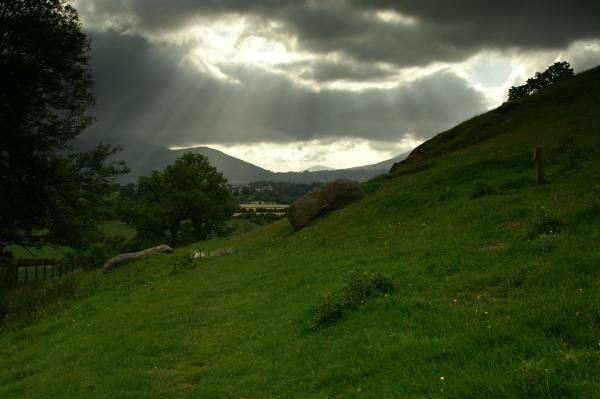 It was a strange day out in the hills today, a day of sunshine and showers, with a storm raging at the head of Coledale the weather could swing either way, in the event I got just two soakings, that didn't seem so bad with the sun on my back. 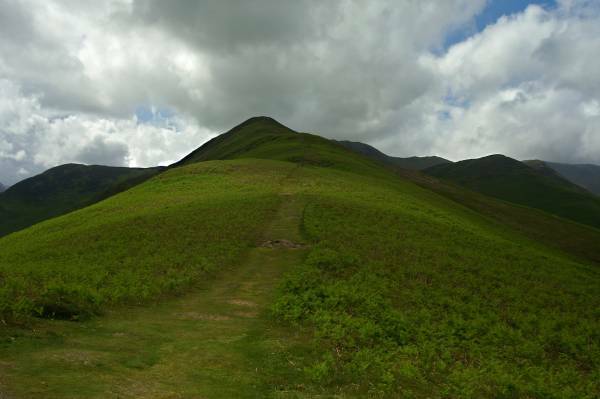 I'd decided to tackle a small horseshoe one I've never walked before, small but not so easy, my day would start with the leg burning ascent of Rowling End followed by a steep scramble to reach the summit of Causey Pike. I parked in Braithwaite village my route followed the Newlands road, before I left the village a sign on the right pointed up the access road to Braithwaite Lodge, I followed this to reach the lodge, behind the house a finger post gave directions to Little Braithwaite, there are some good views to be had from this delightful but short stretch of path, with regret I descended back onto the Newlands road. With tarmac under foot I wandered along the lane before reaching the bridge over Stonycroft Gill. 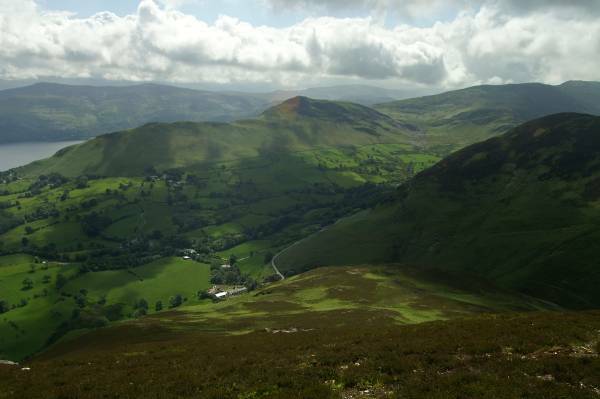 This marked the start of my ascent, steep through Heather and Bracken, hands on in places, a real calf cruncher. 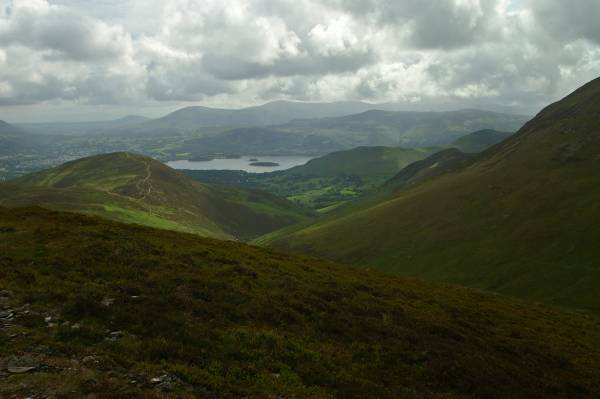 I soon reached the round grassy summit of Rowling End, from where the traverse over Sleet Hause was clearly visible, after a short scramble I crested Causey Pike's stony summit, onward above Scar Crags before dropping to a coll. I descended north from the coll crossing High Moss to reach Outerside, next on the agenda Stile End across Low Moss, from Stile End my route swung south descending to Barrow Door before the rather easy climb to the summit of Barrow, after spending several minutes admiring the extensive views it was down hill all the way, Barrow's wide grassy ridge guiding me down, passing Braithwaite Lodge before reaching the village. 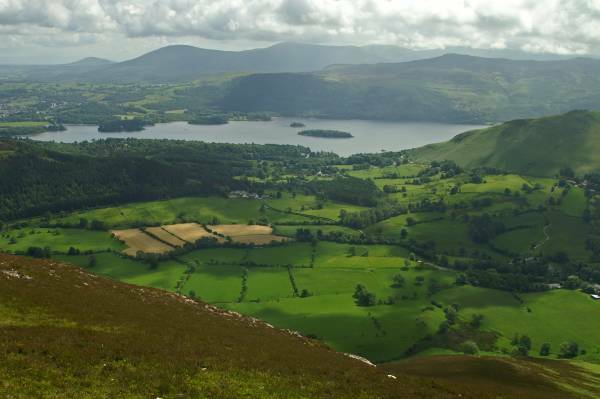 Above Braithwaite Lodge with views across the Vale of Keswick, on the far horizon Binsey sits on the edge of the Lake District. 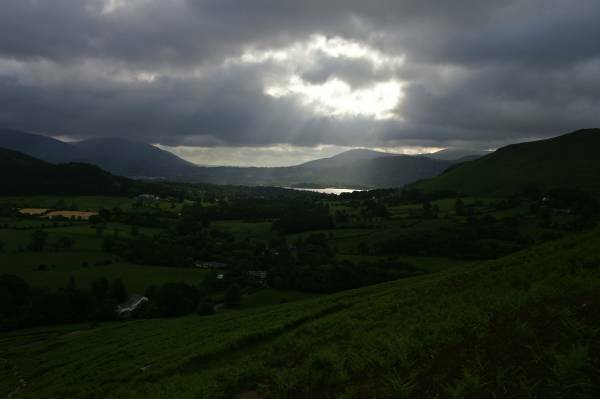 Sunburst over Newlands, talk to local farmers they call this sucking water, there's rain on the way. 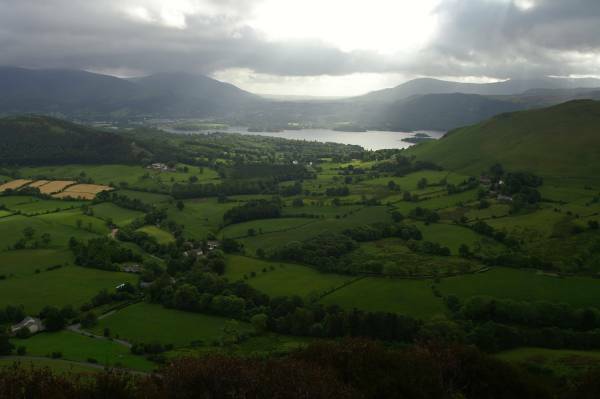 In the distance a glimpse of Derwent Water backed by Walla Crag and Clough Head, to the right Skelgill bank leads to Cat Bells. 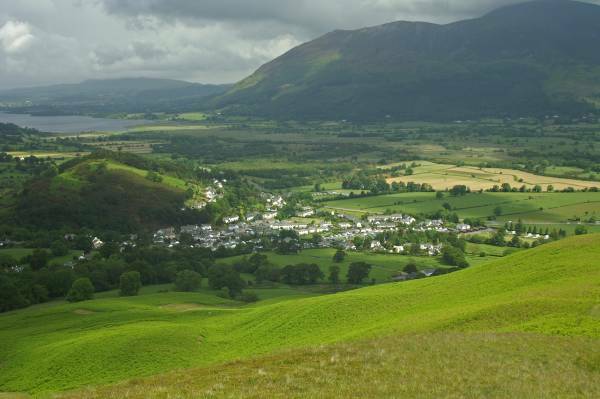 Ascending Rowling End with stunning views over Newlands taking in Derwent Water, Blencathra with Clough Head leading to the long ridge of the Dodd's. 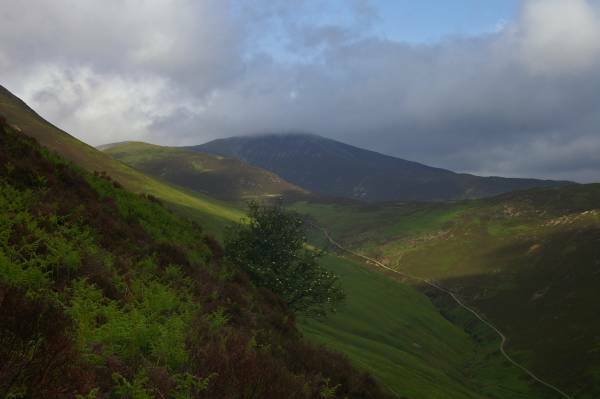 Seen over the valley of Stonycroft Gill with it's head in cloud Grisedale Pike. 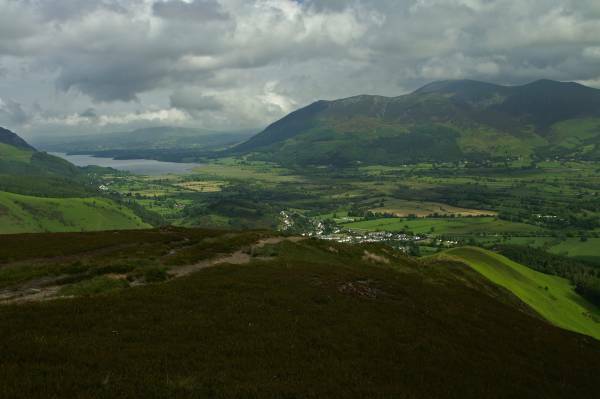 From the summit of Rowling End grey today Skiddaw, dropping in from the left Barrow, the small wooded mound in the valley being Swinside. 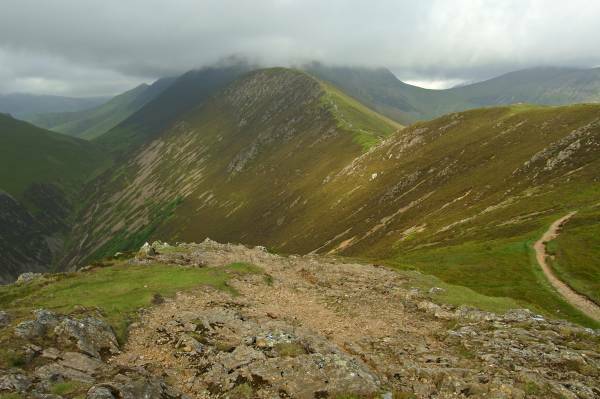 Seen from the summit of Causey Pike the exciting ridge over Scar Crags, swathed in cloud Crag Hill and Sail. On Outerside with a magical view over Newlands. 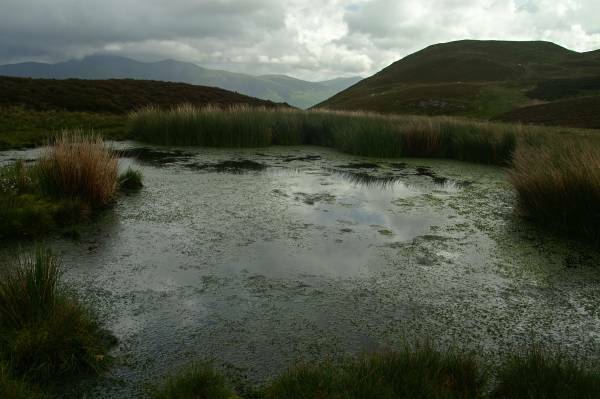 An unnamed tarn on Low Moss looking up the grassy slopes of Stile End. On the summit of Stile End looking back to Outerside. 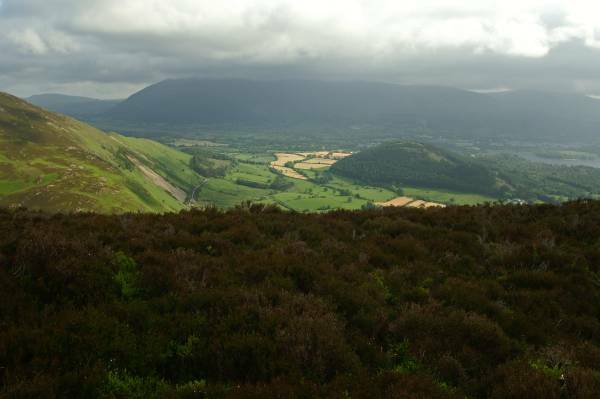 Near the summit of Barrow with views to a brooding Skiddaw. 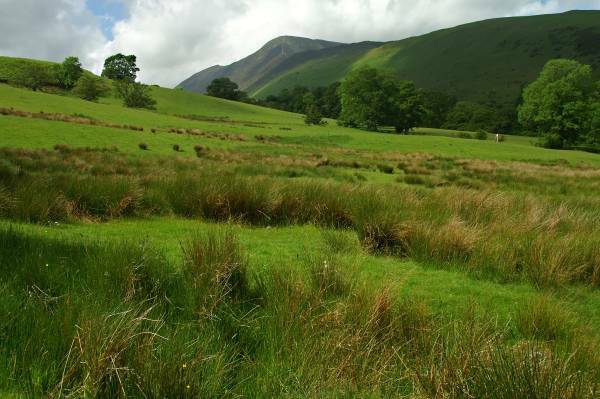 Cat Bells rising above Newlands to the right climbed earlier Rowling End. 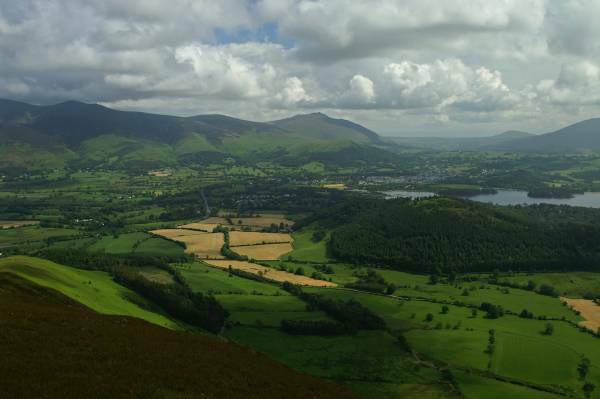 Another wonderful view from Barrow, Derwent Water and the Dodd's. Seen over Newlands a distant Blencathra, to the left in shadow the Skiddaw massif. 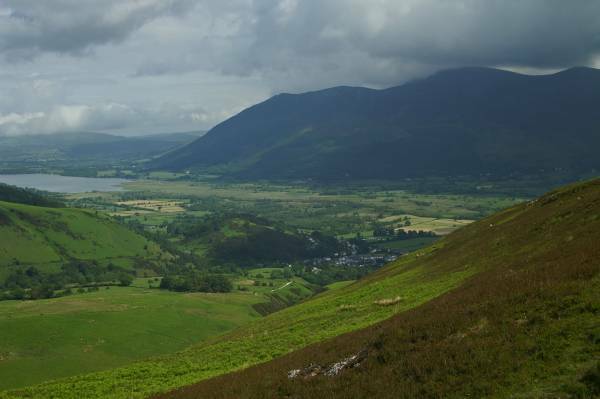 Views down the long ridge of Barrow, Bassenthwaite Lake and mighty Skiddaw. 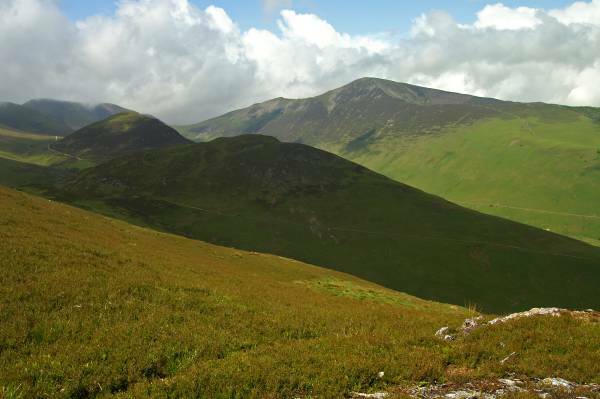 Grisedale Pike looms above the shadowed slopes of Stile End and Outerside. 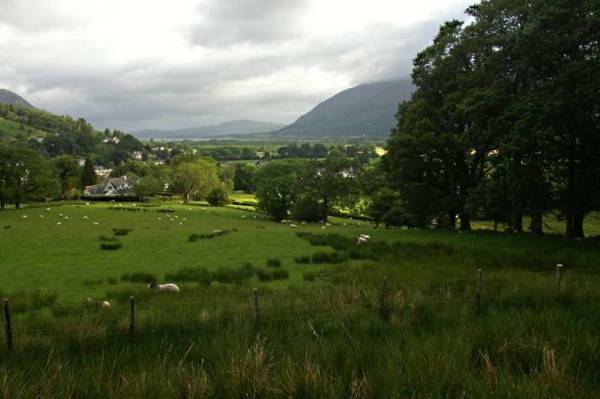 The white washed buildings of Braithwaite as seen from the lower slopes of Barrow. Views back up my descent route. Looking over Coledale with the green flanks of Sleet How leading to Grisedale Pike. 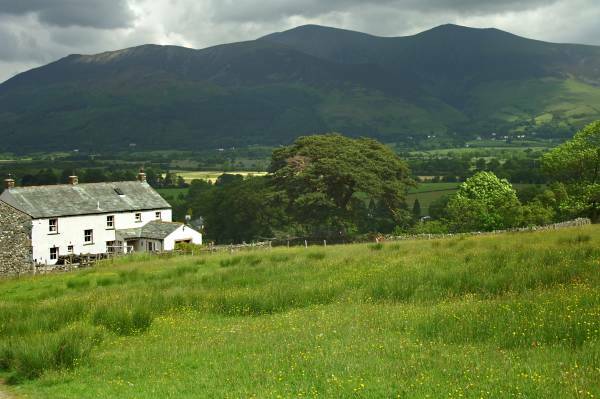 Braithwaite Lodge looking to Skiddaw.